Earn up to 5,245 reward points. 10" woofer and 800W continuous output. The most compact cabinet in the Parasource Series, the PS10P uses a high-efficiency 10" woofer with a 2" voice coil to deliver extreme low end punch from as small a physical cabinet volume as possible. A wide 90 x 70° conical horn delivers improved constant directivity and far better midrange response than competitive cabinets in this class. Onboard bi-amplficiation provides 800W continuous Class-D output for unwavering performance under demanding conditions. Designed for maximum versatility, the PS10P works equally well as a Front-of House cabinet, side fill cabinet or floor monitor. Innovative and highly efficient passive cooling scheme ensures the PS10P will operate in any environment without need of noisy internal dust collecting fans. Integrated reinforced fly points ensure the PS10P can be flown quickly and easily in any fixed installation. Integrated DSP ensures the PS10P can operate in any application without complex external processing. A simple one-button high pass filter switch rolls off low frequency material when PS10P is used with any Paraline Series or powered élite System subwoofer. 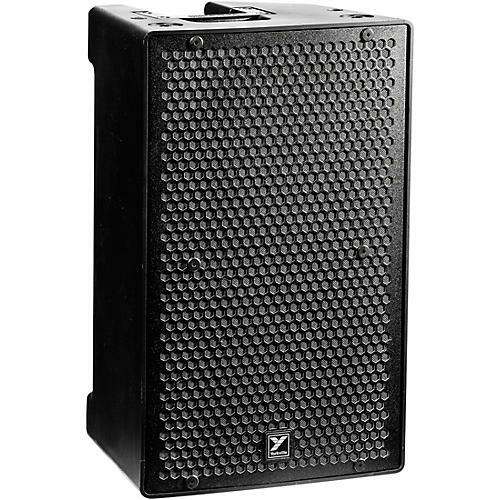 Bass boost delivers remarkably improved bottom end response from the PS10P without cluttering midrange program or affecting the cabinet's overall intelligibility - making it the perfect small speaker solution for larger events where additional subwoofer support is not available. Innovative multi-band limiting allows the cabinet to deliver maximum output and remarkably event frequency response while protecting the PS10P's speaker components. Unlike competitive powered cabinets, the Parasource Series multi-band limiting scheme ensures essential elements like vocals and solo instruments in the essential midrange band aren't being modulated by transient attacks of low frequency material like kick drums and bass tracks. This delivers an extremely smooth and precise mix even at the highest output levels the cabinet can produce.